The NFL held its annual owners’ meeting in Phoenix this week. Ahead of that event the league’s commissioner, Roger Goodell, hinted to the Monday Morning Quarterback website (mmqb.com) that we will be seeing even more games at Wembley in the 2016. The International Series returns this year with three more games. All of them have sold out. We would have had more but the Rugby World Cup has two games being played at Wembley Stadium in the autumn. When the 2015 London fixtures were originally announced there were grumblings from some quarters about the calibre of teams heading over here. The UK fans proved that there’s a real passion for football on these shores when they snapped up the tickets within weeks. “Yeah we’re looking at more games”, said Goodell. “I think every year we’ve learned something from our experience, which is the objective. First and foremost is the passion of the fans – they want more”. For the first time, this year, we have two games back-to-back on consecutive weekends. Next year we’ll most likely get at least four games at Wembley – that’s a quarter of the league’s teams heading ever over here. It’s also half of a season in terms of home games. 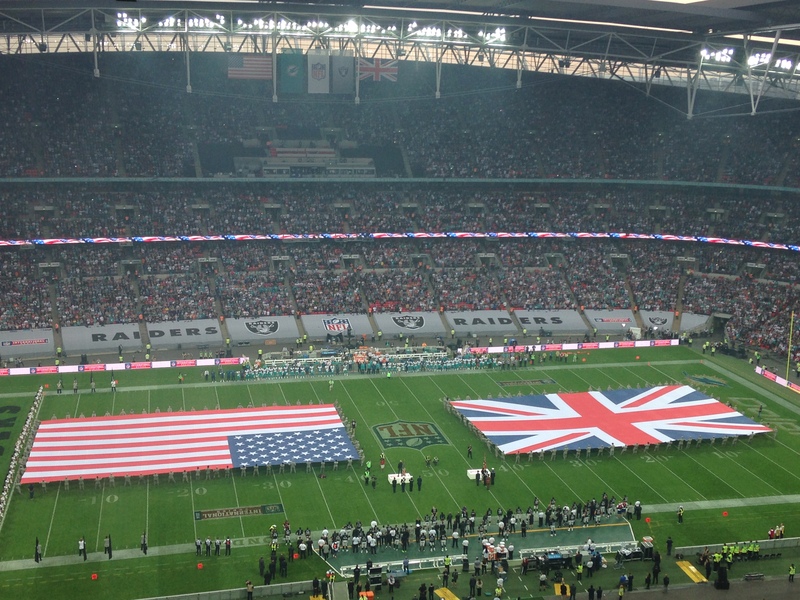 Goodell will continue to test the market to see if the demand for football in the UK isn’t just a flash in the pan. The International Series has gone from strength-to-strength since that first game eight years ago. The NFL won’t give us a franchise until they’re absolutely certain that we can continue to support the game and sustain it. The next couple of years could shape the future of gridiron in this country. Next postWhat’s The Deal With Tebow Mania?